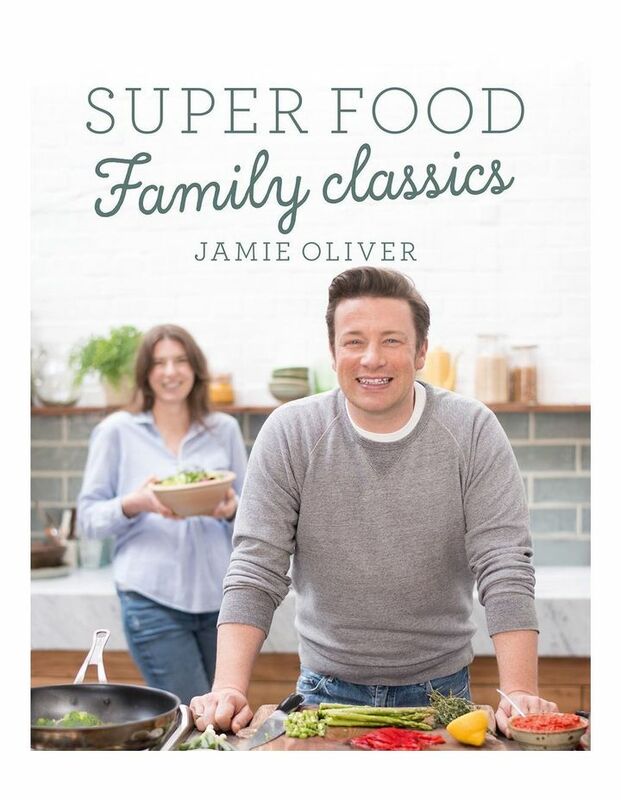 JAMIES SUPER FOOD FAMILY CLASSIC bringing exciting healthy eating to the heart of the home. Freshen up your family favourites and expand your recipe repertoire with new nutritious, tasty meals. Sneak in extra veg with Squash Mac 'N' Cheese and enjoy a no-arguments family dinner with Chicken Fajitas, Smoky Dressed Aubergines & Peppers. When you need a no-fuss meal on the table fast try Chicken Goujons or Pasta Pesto, or get ahead with freezer-friendly Jumbo Fish Fingers or Proper Chicken Nuggets. Use ingredients you know the family already love in new, exciting ways, with Sweet Potato Fish Cakes or Chocolate Porridge. Every recipe has clear and easy-to-understand nutritional information on the page, including the number of veg and fruit portions in each dish, plus there's a bumper back-section packed with valuable advice on everything from cooking with kids and tackling fussy eaters, to good gut health, the importance of fibre, budgeting and of course, getting more of the good stuff into your family's diet.